Evaluate logical performance considerations for a given vRealize Automation solution. Performance considerations will be the number of virtual machines the solution has to provide sufficient resources for as well as future growth (20% growth over the next 3 years) . This is very much like vSphere sizing but now with the speed with which solutions can be created, modified and deleted especially if you are doing CDCI you need to also prepare for the number of continuous deployments and workflows at once. For example a DEM worker can only process 15 concurrent workflows at a time so if you are likely to be doing 60 workflows simultaneously due to the lifecycle of your machines then you are going to need at least four DEM workers to be deployed to handle this. Performance also entails using mechanisms such as Storage DRS to automatically load balance provisioned workloads as they are requested, DRS to load balance the workloads across the hosts in the solution and performance of the vRA management components by isolating them in a management cluster, ensuring they are load balanced so one side isn’t always hit and the other is doing nothing. They don’t mention it in the tools but for this section and the exam as a whole I would recommend reading the latest vCAT documentation as well as the vRA 6.2 Reference Architecture document . Differentiate infrastructure qualities related to performance. Indicates the effect of a design choice on the performance of the environment. This does not necessarily reflect the impact on other technologies within the infrastructure. Analyze the current performance of an environment and address gaps when building a logical design. So this is down to you deploying the vRA solution in an existing environment where there are workloads running and you need to analyse the performance of the environment to ascertain if the environment meets the performance requirements or if additional resources/another environment is required for the solution to work. Get a VMware partner or VMware to run an analysis via VMware Capacity Planner to work out what your current environment is doing. Use vRealize Operations Manager to give you a current state analysis as well as use historical data to work out trends and if there are month end increases in performance requirements or seasonal increases depending on the company’s business. vSphere performance charts can also give you a not bad idea of what is happening if the above two aren’t possible as well as 3rd party tools. Use a conceptual design to create a logical design that meets performance requirements. You will also have requirements where due to BC/DR requirements you will need spare capacity in the event of a failure so for example “The production workloads in Site A which makes up 20% of the 5000 workloads need to run on the secondary site in the event of a planned or emergency failover” . Determine performance-related functional requirements based on given non-functional requirements and service dependencies. Non-functional requirements are normally constraints imposed by the customer so for example the customer has defined you have to use existing networking in the datacentres and these are only 1GB switches which will severely impact what is possible from the solution. So if we keep to my example then having a service dependency that needs to talk to a physical SQL server where large amounts of data is transferred between the services to the database a single 1 GB link won’t be sufficient so either the service will have to be scaled down or the SQL database created as part of the service to allow inter virtual switch connectivity thereby allowing higher network throughputs. Determine a performance component for service level agreements and service level management processes. I covered this in the availability section where you have done a business impact analysis and worked out what theirs RPO and RTO values are. Part of availability also ties into performance as if the solution is running so slowly that users can’t use it then the service is essentially down and SLA’s are possibly not being met. Categories: Automation, Certifications, vCAC, VCAP, Virtualisation, VMware, vRA | Tags: CMA, performance, VCAP, VCAP6, vRA, vRealize, vRealize Automation | Permalink. Evaluate which management services can be used with a given vRealize Automation Solution. Management of vRealize Automation is achieved via various methods and solutions. You have management of the underlying vSphere infrastructure via the vSphere client and web client, management and monitoring of both vSphere and vRA via vRealize Operations with management packs for vRA, logging via vRealize LogInsight, change management via third part CMDB tools as well as VMware tools such as vRealize Configuration Manager and Hyperic. There is also the standard vRA management via the vRA portal and the VAMI portals for management of the vRealize Appliances. I haven’t done the exam but based on previous exam experience I would make sure you know what tabs and options there are for all the vRA VAMI portals. Differentiate infrastructure qualities related to management. I partly covered this in the previous 2.3 posting, what they are likely to do from previous experience ( I have not done the exam nor the beta) is to give you a whole bunch of infrastructure qualities and you have to match them up. Manageability is all about ease of management and having the most optimal amount of manageability without impacting other infrastructure qualities or any of the requirements. Build interfaces into the logical design for existing operations practices. This is where either the customers IT team who are going to look after the solution when you leave aren’t skilled up enough or they don’t have anyone to manage it at all (I’ve seen both in my experience). To fix this knowledge transfer workshops are required, or to link to the manageability infrastructure quality you simplify management as much as possible and try use their existing management mechanisms if they fit so allow easier management of the solution building on existing knowledge. You can also put it as a constraint the lack of existing knowledge to manage the solution and the risk mitigation is training of the team via formal training or learning from yourself and/or the person deploying the solution. You should also read the recommended Operational Readiness Assessment document from VMware. Define Event, Incident and Problem Management practices. Design a log management solution. As mentioned above log management can be done via VMware solutions or 3rd part solutions. 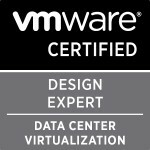 LogInsight is most likely the one they are going to reference in the exam seeing as it is VMware’s solution and you can get a vRA management pack for it to allow it to alert on vRA specific alerts https://solutionexchange.vmware.com/store/products/vra-6-1-log-insight-content-pack . Determine request fulfilment and release management processes. Request fulfilment I am taking as the fulfilment of all the required parameters to provision as service from the vRA catalogue. You would do this via the service design that you have done for each service where you have defined what parameters need to be fed in and that incorrect values aren’t inserted to ensure service requests are successful. In regards to ASD this is where you make sure the request form is using optimal selection boxes to make sure letters aren’t used where only number should be inserted and drop down lists are used so that only applicable options can be selected. Release management would also be done in the service design document although it might be the same across all the service offerings or might differ per service offering based on the lifecycles. This would be the definition of when new blueprints are published, where they are published, who they are published to and version control. Define change management processes based on business requirements. Change management can be done via logging to ensure if any changes are made they are tracked, this can also be done via the Service Now method I mentioned earlier as well as change management via vRealize Configuration Manager. During design workshops you should ascertain what change management processes they need to follow and then make sure those are met via usage of API’s to the CMDB solution or logging to LogInsight or Arcsight for example. Based on customer requirements, identify required reporting assets and processes. Very much like above the customer will define what kind of reporting they are looking for or what you think they should be getting and then producing these reports via tools such as vROps or LogInsight. For the exam I think they are going to have certain reporting requirements given to you such as the Infrastructure manager wants to get a daily report around any alerts that were found in vRA for the past day or sent an email if an alarm is triggered in vRA. If you think I have something wrong then please let me know as I don’t claim to know everything by any stretch. Categories: Automation, Certifications, vCAC, VCAP, Virtualisation, VMware, vRA | Tags: Certifications, CMA, VCAP, VCAP6, VMware, vRealize, vRealize Automation | Permalink. Evaluate dependencies for infrastructure and application services that will be included in a vRealize Automation design. One of vRealize Automations biggest selling points is its ability to provision various services and applications be they single tier services or multi-tier services including load balancers and network isolation via NSX. When you are creating a vRealize Automation design for your customers they will have a number of services and applications in mind that they want to make available for consumption via vRA. You job and the point of this section is that you need to discovery and evaluate all of the required infrastructure and application services required. This can either be existing infrastructure needed by the applications or due to company policies so for example if you are provisioning multiple machines to test code and then commit it back depending on the success or failure then that existing infrastructure might be something like GIT. Or it might need to be tracked via a CMDB so an existing CMDB needs to be available and able to be communicated with via the infrastructure so that it can be logged and tracked. The infrastructure may also be something that needs to be created as part of the service so something like an NSX edge to isolate a service from existing services every time they are deployed would then need to be created as part of the service. · Existing documentation around service design if available. · Design workshops with the current users of a service offering as well as the companies IT team and project sponsors to understand what they want the vRA offering to offer. · Via usage of VMware vCenter™ Application Discovery Manager which monitors the existing environments, applications and infrastructure and gives you an overview of what the existing services are actually connected to and using for the service. This is a brilliant tool if you have it at your disposal and can also be used in conjunction with vRealize Infrastructure Navigator. These diagrams are normally created as part of the service design document you should be creating for each service offering you are planning to make available within vRA and so that it is easier to understand what all the interdependencies are between the various components that make up the service. Don Ward has done a brilliant blog posting all about creating these relationship diagrams and has even given examples of ones. For service dependencies you can use VIN again as the tool to determine this. The video mentioned above gives a great example of exchange dependencies. Include service dependencies in a vRealize Automation logical design. Personally I like to create separate design document for each service design rather than stick it into the vRA logical design but these can be portrayed either via the relationship diagrams or via flow charts showing the dependencies along with definitions of all the required components that make up the service offering. Analyze services to identify upstream and downstream dependencies. Again this can be done via VIN and Application Discovery Manager where you can ascertain what is required in what order so for example you will need a SQL database instance up and running before you can deploy a web services web servers and application servers. I take it they are looking for you to see a whole bunch of logical components and are told of their interdependencies and for you to then put them in the correct order to ensure it is built correctly. Categories: Automation, Certifications, vCAC, VCAP, Virtualisation, VMware, vRA | Tags: VCAP6, vRA, vRealize | Permalink. Evaluate which logical availability services can be used with a given vRealize Automation solution. For logical availability services this comes down to making sure there are multiple instances of a component if possible and that it is load balanced either via a physical load balancer like F5 or a virtual one like NSX and it is protect via HA and DRS rules are configured for anti-affinity for hosts placement and storage placement. I did a blog posting about designing an enterprise level distributed VRA . As you can see from the diagram I have split out the vRA appliances, IaaS Managers, IaaS Web servers, DEM workers and vSphere Agents and load balanced all the management components via NSX load balancers. The exam is supposedly based on vRA 6.2 so the postgres database is now clusterable between the vRA appliances so it being on an external vRA appliance instance isn’t required anymore. Differentiate infrastructure qualities related to availability. This is being able to tell what things apply to what infrastructure quality. If you dn;t know what the infrastructure qualities are then they are Availability, Manageability, Performance, Recoverability and Security. A great definition and break down of what availability is has been done in a blog posting by Rene van den Bedem. This will most likely be drag and drop where you take certain pieces and place them under the different qualities. Analyze a vRealize Automation design and determine possible single points of failure. I think this is really self-explanatory as you need to understand how a highly available design is achieved and then pick up on any SPOF. For example if the vRA databases are on a SQL installation that isn’t clustered or protected by HA then this is a SPOF. Determine potential availability solutions for a logical design based on customer requirements. Create an availability plan, including maintenance processes. Here is where in an ideal world you have done a Business Impact Analysis and determined what their RTO and RPO values are and then started to work out how various design methods and solutions can ensure these SLA’s are maintained as well as maintenance windows where these SLA’s don’t apply. Rene’s posting I mentioned earlier gives a brilliant amount of ideas of what to think about to ensure availability of a solution. Balance availability requirements with other infrastructure qualities. This is a part of an design where you need to holistically look at the design and ensure if one decision is made it doesn’t cause impacts to requirements or other decisions and if so if it is worth keeping that method or changing the other one. For example if you are requested to provide 99.999% of availability then this is going to cost the customer a serious amount but also some high level solutions are going to be required to ensure this is met which can impact manageability if the current team don’t have the skill set to manage it once you walk out the door. Categories: Automation, Certifications, VCAP, Virtualisation, VMware, vRA | Tags: automation, CMA, VCAP, VCAP6, vRA, vRealize Automation | Permalink. 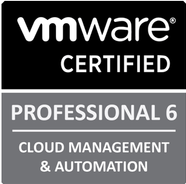 A number of weeks ago I sat my VCP6-CMA exam (I’ve been working on my VCDX6-CMA submission hence the delay in posting this) after being told that passing one of the hopefully soon to be released VCAP6-CMA exams doesn’t automatically get you the underlying VCP6. So with three days to go before the exam I managed to sit down and study for the exam. Now this isn’t something would recommend and it wasn’t something I had planned but with my having been working on a very large scale vRA 6 design and deployment for the last 18 months I took a chance. The blueprint covers everything you need to know just like all the other exams and there are no tricks where things aren’t on the blueprint but in the exam. For study resources I used everything mentioned on my VCP6-CMA page to prepare. The resources available are perfect and the Pluralsight courses as well as the ICM on demand course were integral in my preparations (albeit i had watched these quite a while ago so didn’t re-watch them due to time constraints). The exam is extremely fair and if you have used vRA for a while either in production, test or in your lab and you learn all the parts on the blueprint around vRA and vRB then you should have no issues passing the exam. Categories: Automation, Certifications, vCAC, vCloud, Virtualisation, VMware, vRA | Tags: automation, CMA, VCP6, vRA, vRealize | Permalink.